Federation of Master Builders (FMB) member Clayton Lyon from Woodford Green has been chosen as one of the UK's top ten tradesmen, as a result of a nationwide search carried out by the Government endorsed standards organisation, Trustmark. TrustMark launched the search in August to find the nation's top tradesmen. Entries were received from tradesmen all over the country from a whole range of different trades including builders, plumbers, electricians, decorators, glaziers, and landscape gardeners. As a top ten finalist Clayton has won a year's membership with TrustMark. Carpenter, Clayton won his place for his pioneering work on a daunting project which needed refurbishing and building on to an existing property suffering from a considerable amount of deterioration. The location and access was also very challenging, meaning the construction required a great deal of care on the builder's behalf. "I am thrilled to have been named one of the UK’s top ten tradesmen. It's great to have your hard work appreciated and to be noticed. I always aim to complete projects to the highest level. The ethos of my company is that there are three issues that a client considers; trust, price and reliability. I am passionate about the work we do and believe that maintaining the balance between being cost effective whilst still providing good after care service is one of the crucial aspects of managing a good building firm. When you leave a site and know that the client has been impressed and is pleased with what you have achieved for them, it's a great feeling." 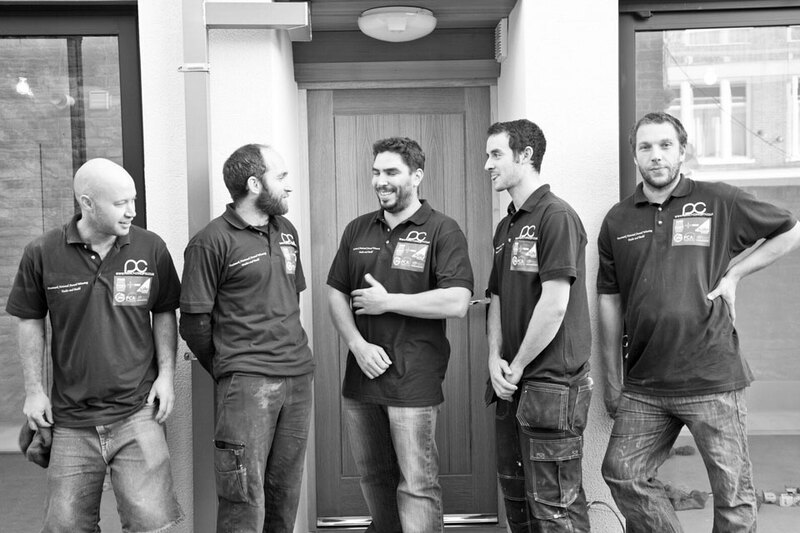 "It's fantastic that Clayton has been recognized as one of the top ten tradesmen in the UK. The FMB is the sign of building quality so it's fitting that an FMB member has been recognised as one of the top ten tradesmen in the UK. In fact three other FMB members made it into the top ten too. All our FMB Trustmark registered members can give consumers added protection by offering them insurance protection through their membership of the National Register of Warranted Builders." "Rogue traders and cowboy builders are a real problem for homeowners. What we set out to do was separate the good from the bad and highlight the best that British tradesmen have to offer to give them the recognition they deserve. The standard of entries was extremely high and it wasn't easy coming up with the top ten shortlist. Clayton should be very proud of his place on the list."